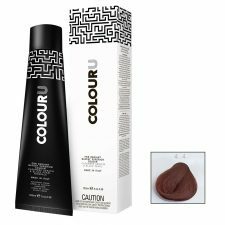 ColourU is a high end, low budget, professional colour range with a radiant glossy superior colour finish. Designed in Australia and made in Italy, the range is infused with cashmere keratin and tahitian black pearl powder to enrich the hair with amino acids. ColourU helps protect hair from breakage throughout the colouring process while maintaining hair moisture levels; promoting longevity and optimum condition of the hair. Low ammonia with excellent grey hair coverage. 100ml tubes. Mixing ratio 1:1.5. 109 intermixable tones with a variety of pre‐mixed tones. Super Lifter series double up as toners. Clear enables up to 2 levels of lift and unlimited creativity. Matte Natural series for cooler results for hair that throws excess warmth. Protective amino acids and UV reflectors. MADE IN ITALY. 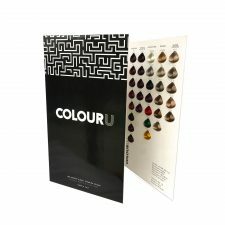 SUPERIOR AFFORDABLE COLOUR RANGE.